I can feel Michelle Weber as I read about her stumble into the stacks of plastic babies. Indeed, creepy. I have had such encounters before – bumping into something eerie or disgusting in the middle of a happy day. In my case, I met with such a scene in broad daylight during my travel vacation in Boracay, The Phillippines. I first saw this scene from further down, as shown below. I suffered a mini shock then, and I decided that I needed to go nearer and capture the man in the white coat from another angle. What do you consider creepy? Is it eerieness? Disgusting sights? Sick acts or queasy feelings? Psychologically unsettling thoughts? I feel strange to ask you to enjoy creepiness! Haha. 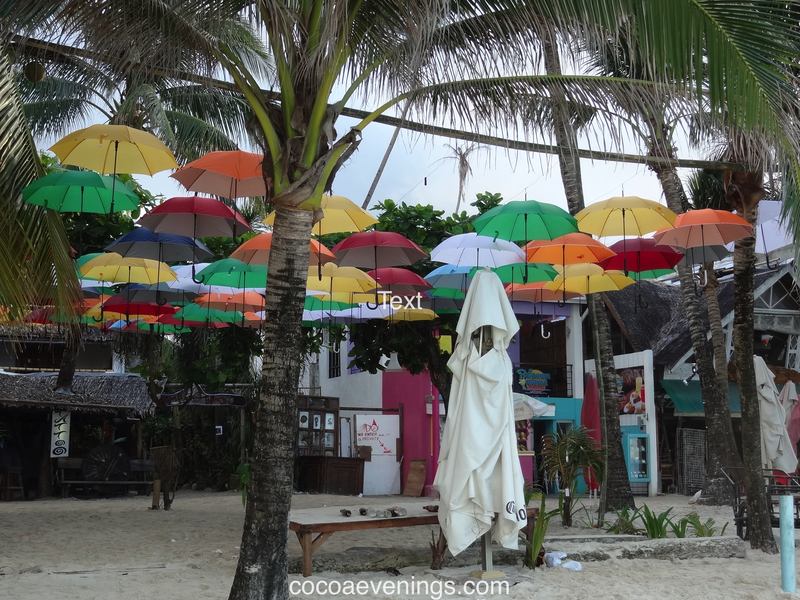 Check out my post on colours of the rainbow – ROY G BIV if you want a better view of the umbrellas! 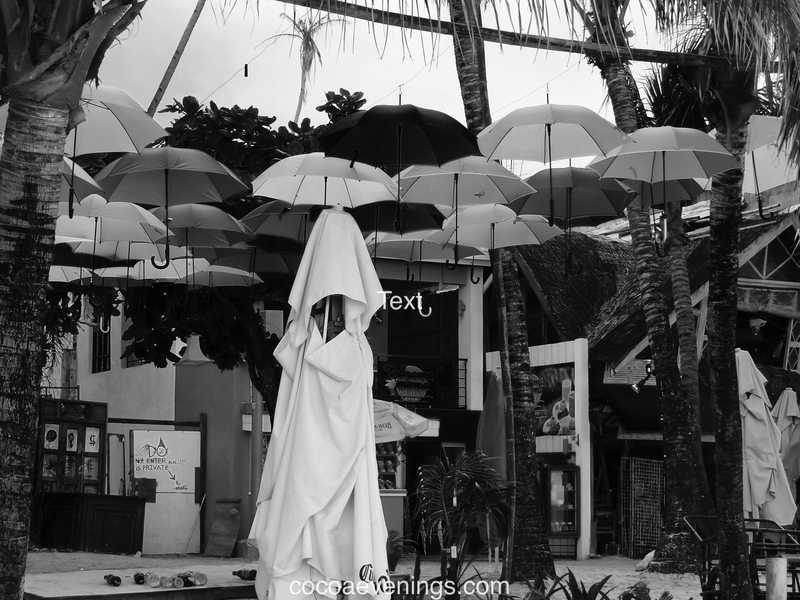 Yes, I plucked up my courage and walked up to the man in the white coat eventually, because I wanted to photograph the beautiful array of umbrellas. ← Mystery. Fantasy. Unpredictability. Beauty. Artistry. Subtlely. Kind of alone. The time was around 7am, so all the shops were closed. I was on my own on the beach. There were other people in public, but far off, and all strangers. Hehe. Thanks for coming by! Haha! Yes, I always get a mini shock when I scroll pass this photo in my Camera Roll. It certainly does look like a person. I will be examining all umbrellas from now on. Hehe. Silhouettes always have a bit of a spooky feel.